Ohio State Highway Patrol "All Out Day"
May 18, 2012, Ohio State Highway Patrol "All Out Day"
The Ohio State Highway Patrol has announced that today, May 18, 2012, it will be conducting an “All Out Day” where all sworn officers will patrol the roads of Ohio in an effort to reduce fatal and injury crashes. 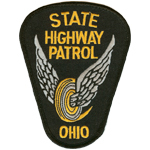 The OSHP has stated that the "intiative, which serves as a high visibility enforcement effort, is not only a deterrent for crash causing violations, but also calls attention to dangerous driving behaviors." Increased patrols generally equates to more arrests for traffic and criminal offenses. The experienced attorneys of DiCaudo, Pitchford & Yoder have extensive experience defending against traffic and criminal offenses. If you have been charged with a traffic or criminal offense in Ohio, a knowledgeable Attorney from DiCaudo, Pitchford & Yoder may be able to help. For legal advice or information, contact, the attorneys at DiCaudo, Pitchford & Yoder today.